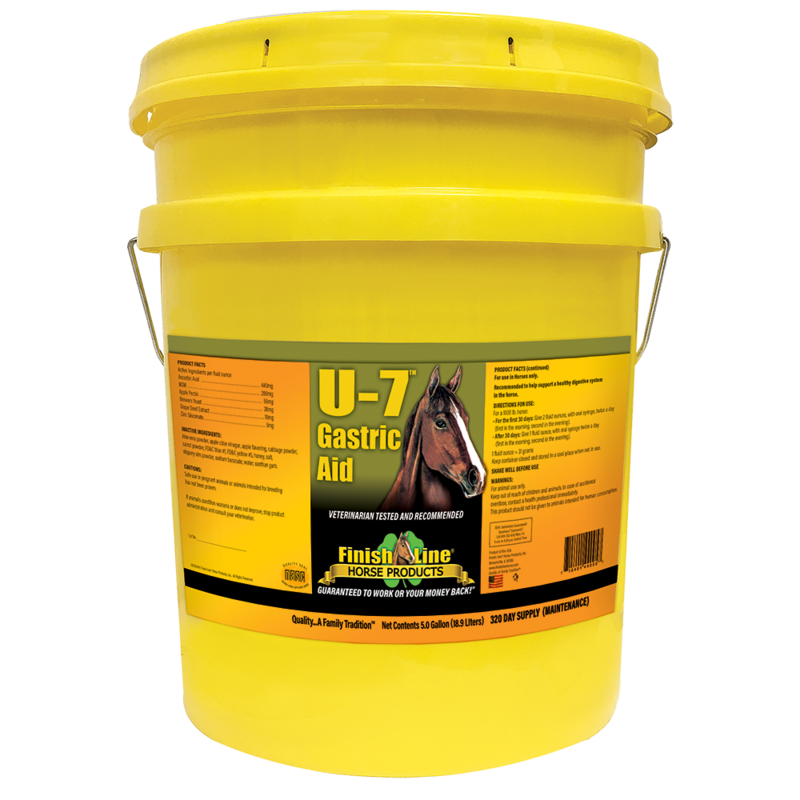 U-7™ is an easy-to-feed Vitamin/Herbal blend that helps promote a healthy equine digestive system including the foregut and hindgut. 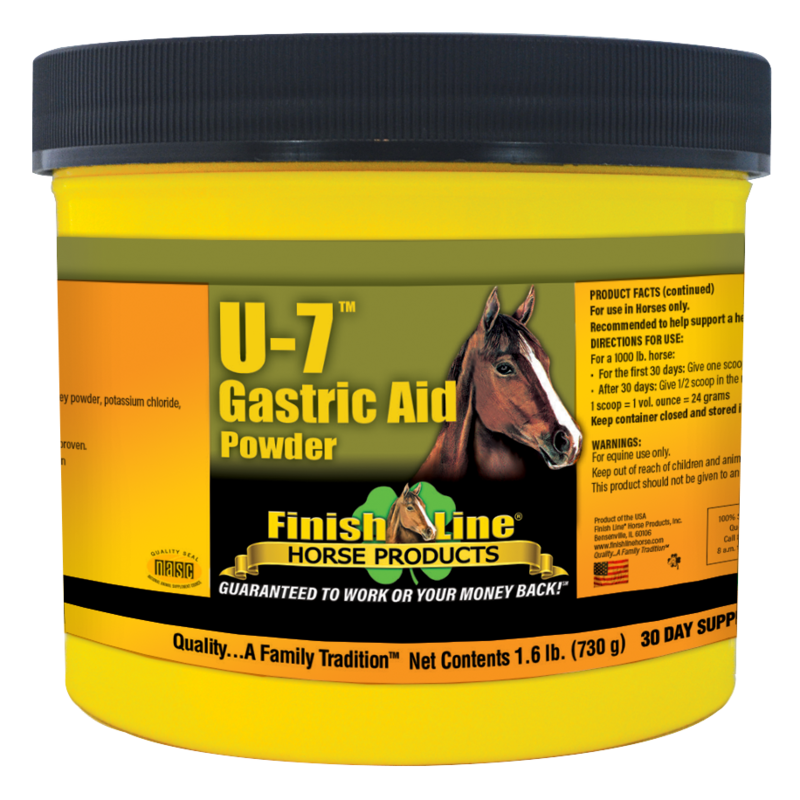 A healthy digestive system in horses is critical to maintaining their optimum overall health and happiness. 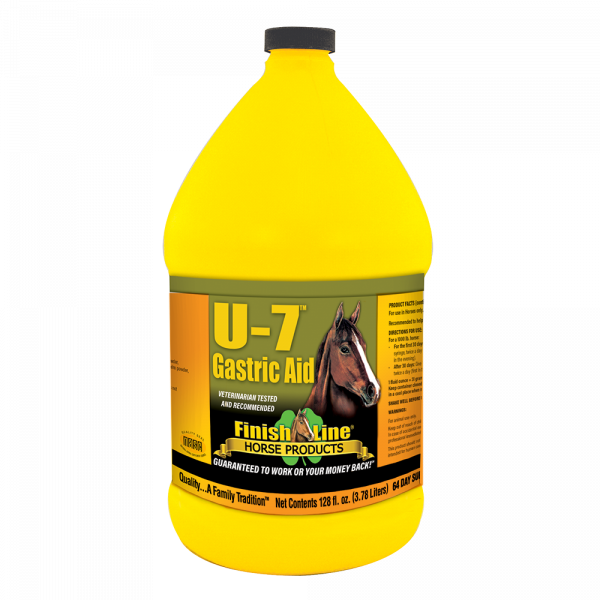 This is why our highly-palatable U-7™ Gastric Aid contains natural active ingredients that promote a healthy digestive tract. 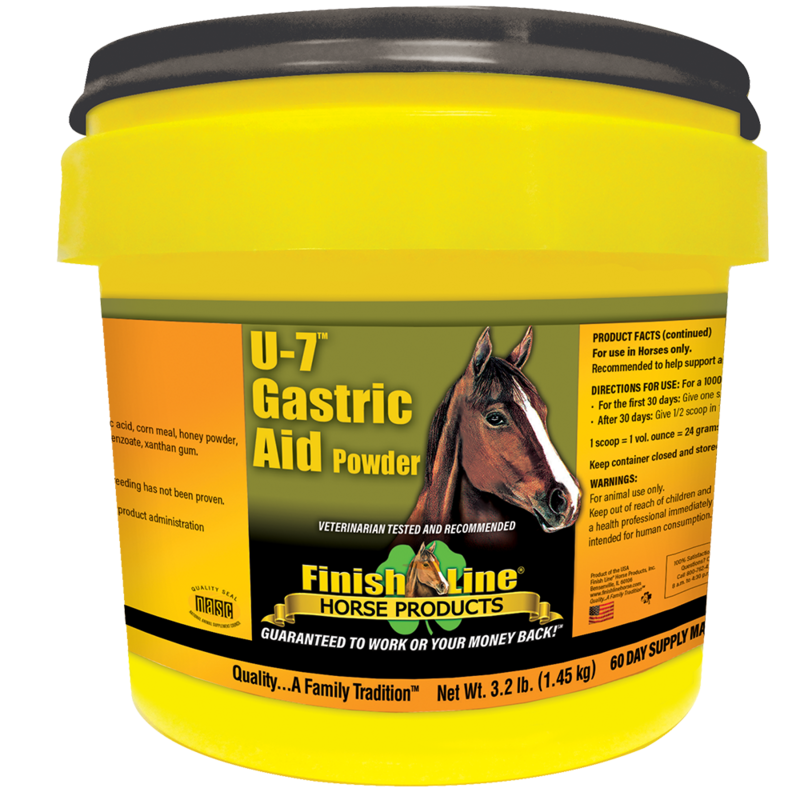 Help eliminate undigested grains, maintain proper weight, reduce runny manure, increase coat quality, get rid of cinchy behavior, maintain a calm stomach and essentially keep your horse performing at its best with this proven gastric aid. U-7™ Gastric Aid is the only digestive supplement you need. Feed daily to experience all of the amazing benefits without interruptions! I LOVE this stuff!! I have my horse on JC X-Tieup because he was a chronic seasonal change colicer. I add U7 April/May and September/October as added insurance to help his gut health. Being on a fixed income, the X-Tieup is more economical to give him monthly, but I just squeeze the budget in the spring and the fall so I can give this too him. I figure it is cheaper than having the vet out for colic twice a year. 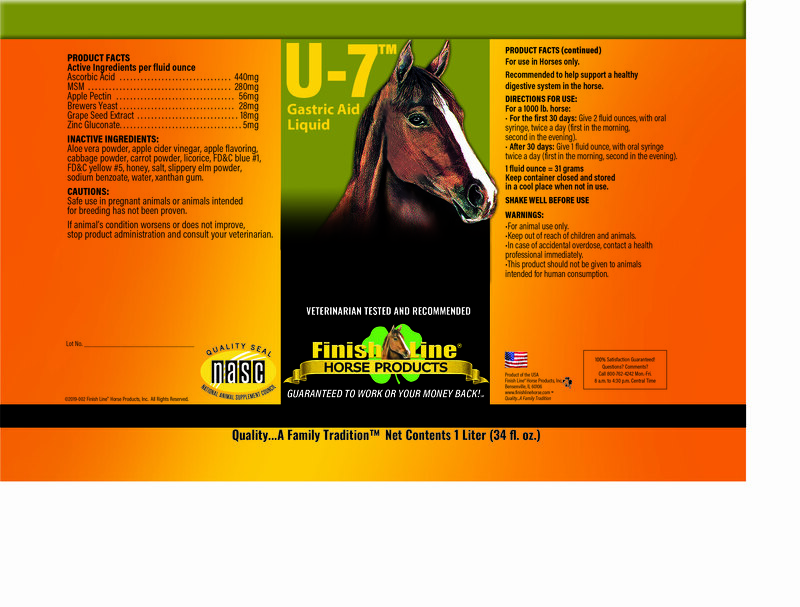 I am a lifetime customer of Finish Line horse products. Couldn’t be more grateful for this product. 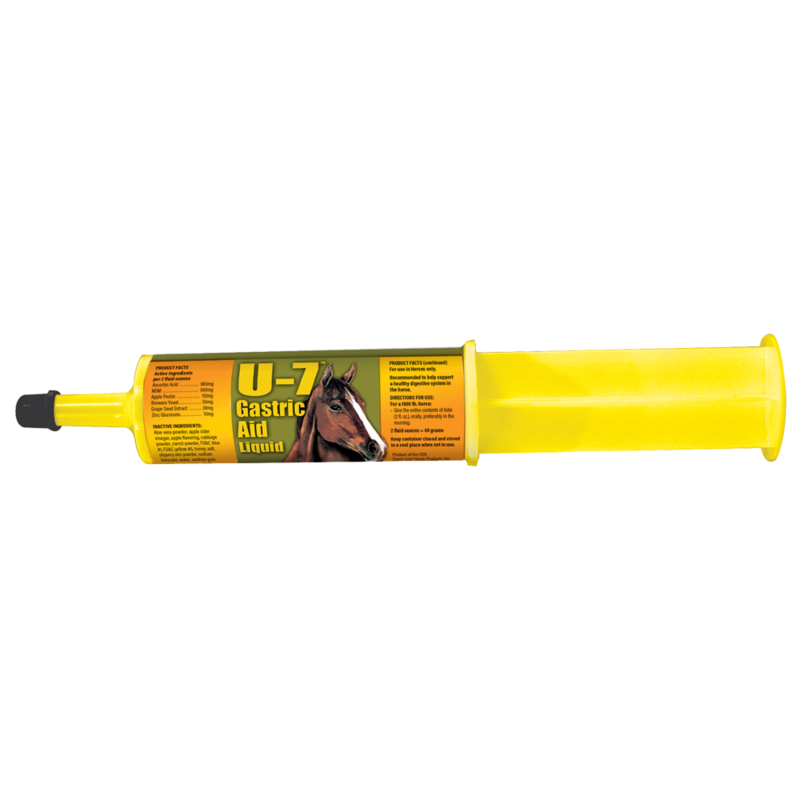 It improved my horse and I have no worries about side effects like you do with the more heavy ulcer medications. He gained weight, too. 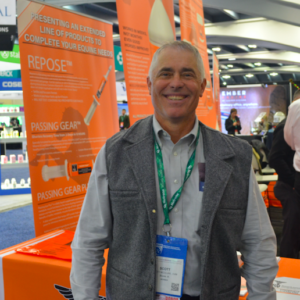 Really great product. IT WORKS! Horses feel so much better being on this. They all benefit from this amazing stuff!!! !